Constance Moofushi. An island gem in the Maldives. Constance Moofushi Maldives is located on South Ari Atoll, 25 minutes by seaplane from Male International Airport. 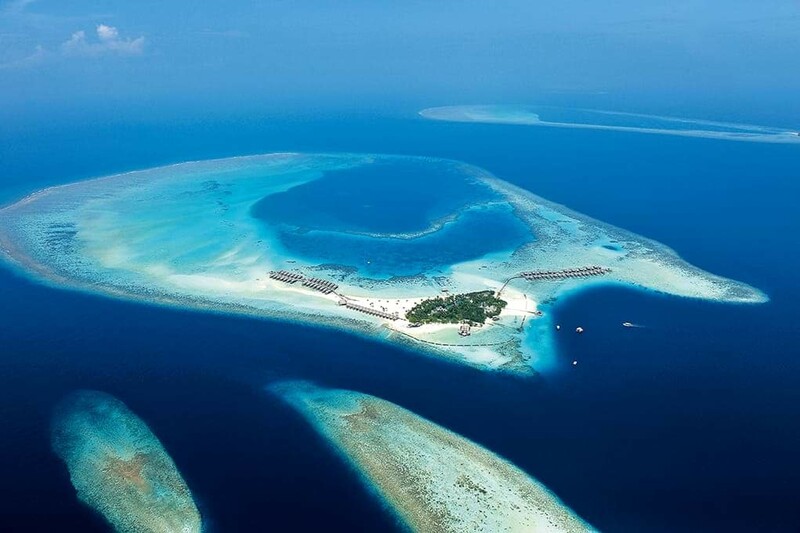 The resort is located on a private island surrounded by transparent water, deep blue with turquoise brushstrokes. A symphony between the sand and the sea, a true paradise! Widely regarded as one of the best diving spots in the world, the resort combines the barefoot chic style emulating Robinson Crusoe with the elegance of a luxury resort with the highest standards of Constance Hotels and Resorts.